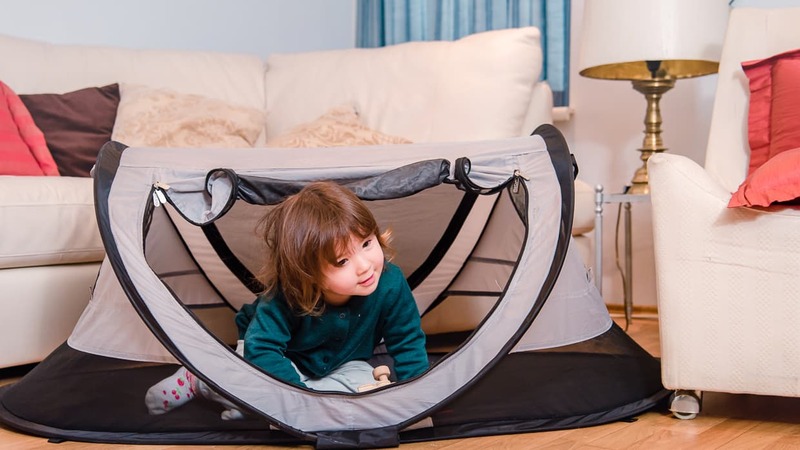 We have been using our KidCo Peapod Plus travel tent for over a year now (actually, our daughter has been using it), and it was one of the most successful baby purchases we have made. When we planning our year long slow travel adventure in Europe, we knew two things: 1) we didn’t want to co-sleep with our daughter for a whole year and 2) we didn’t want to lug a crib around with us for a whole year. The Peapod has met our needs brilliantly, and even though we were planning to let it go as we continue our journey and move on to China, it turns out we just aren’t ready to quit this tent. We thought it was time we wrote a review. As part of our attempt to monetize our slow travel blog (which we are referring to as Operation Digital Nomad), this post has affiliate links. If you click on one and make a purchase, we will receive a commission which we will put toward continuing our travels with our daughter Lisa. Thank you very much! Please enjoy the review. Our daughter was going to be a little over a year old when we left on our trip, and we wanted to make sure that we had a sleeping solution that would ease our minds and keep her comfortable and safe. Some hotels – and even some Airbnbs – are able to provide a crib, but if we were going to be gone for a whole year, we didn’t want to take any chances. We ordered a KidCo Peapod Plus a couple months before we left on our one year journey, just to make sure it was going to work before we dove in. It’s a completely different sleep system, and we had a few concerns that we were going to need reassure ourselves about. Is it safe? Will our daughter be able to breath? Will she tip it over in her sleep? Will she get out and head for the stairs? Is it portable enough? Will we be able to fit it into a suitcase or into an overhead compartment on a plane? Is it durable? Is it comfortable? Is the padding soft enough? Will she be warm? 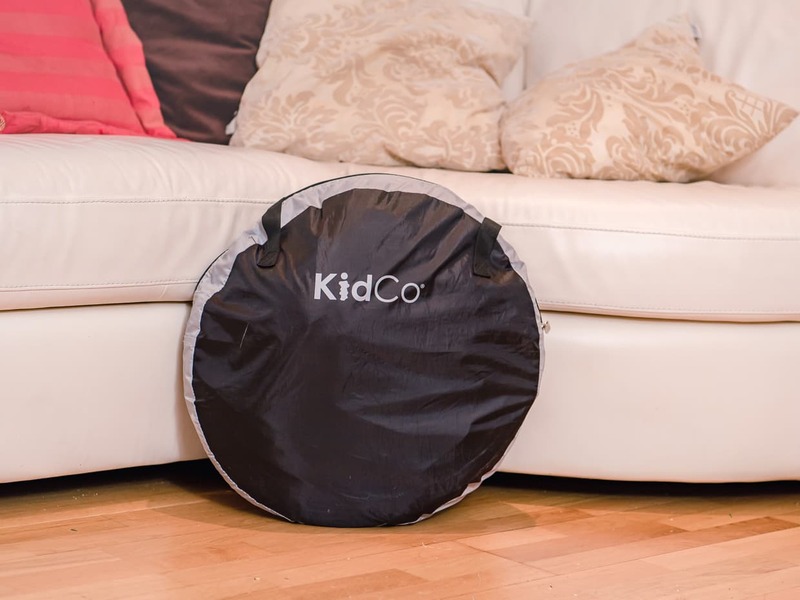 The KidCo Peapod Plus is completely safe. Yes, there are scary warnings on the inside for liability purposes, and you should read them and take note, but we have been using it for over a year now, and everything checks out. 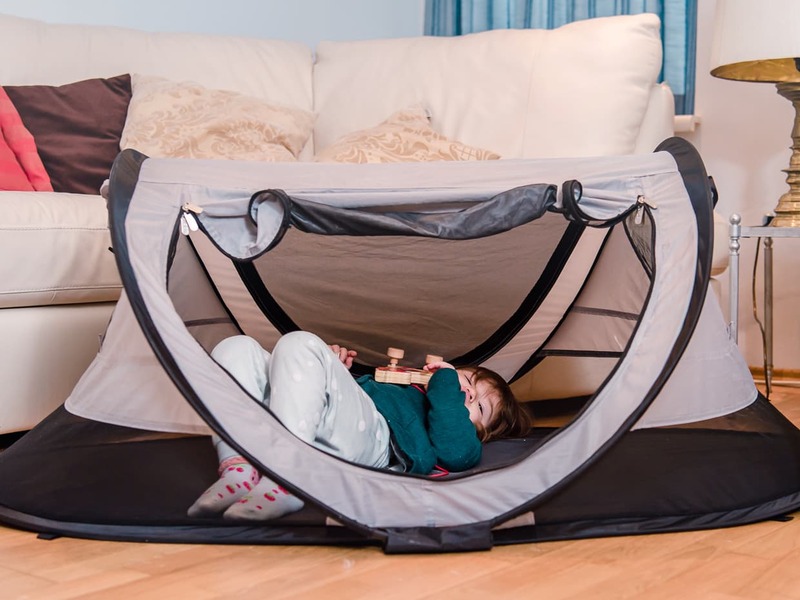 Not only is the tent material breathable, it also has a several windows that can be opened or closed, with a mesh to keep your child in at night. The padded bottom is also breathable (press your face against it and see). For young children, you should still follow general safety guidelines to prevent SIDS, and avoid putting in things like blankets pillows and toys. The Peapod is also very stable. The base is very wide, and even now our oversized and energetic two year old has yet to tip it over from the inside. 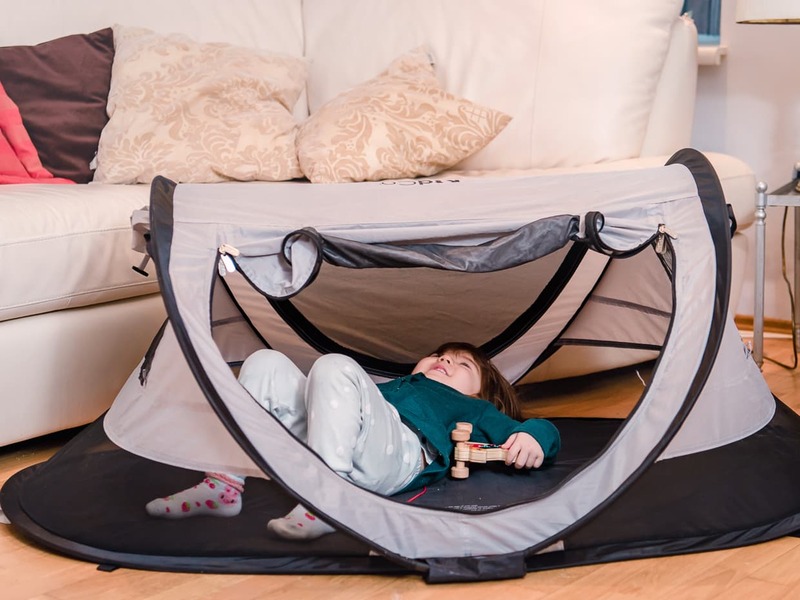 She will sometimes press against the walls of the tent, but instead of tipping, the flexible supports just bend and the structure flattens out instead of rolling over. Then when she stops pushing it just bounces back. As for the risk of a nighttime escape, there are a couple of features that reduce the odds. The zipper does have a tab on the inside as well as the outside, but it will be high up when you have closed the flap all the way. 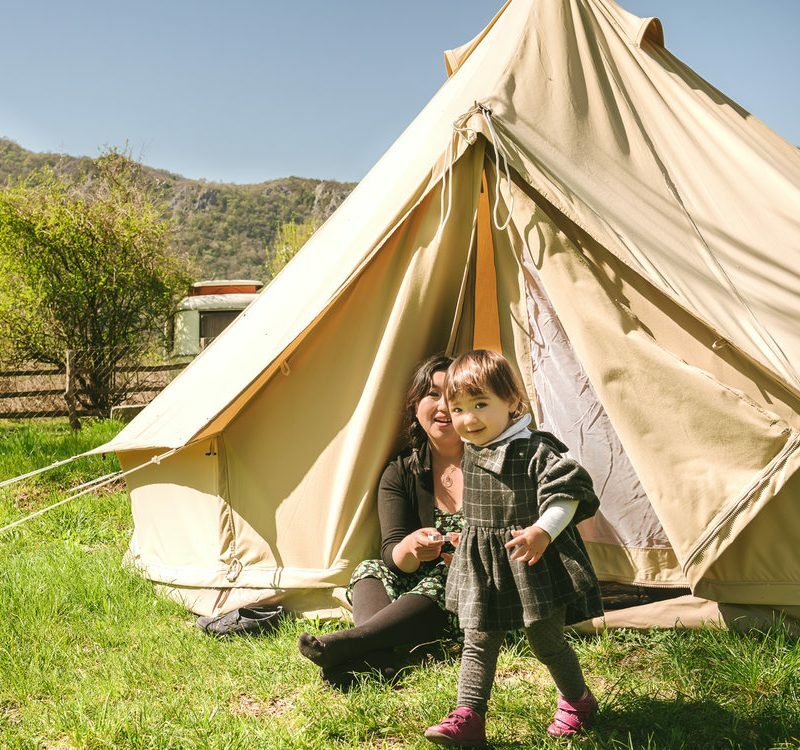 Also, because of the flexibility of the structure, just pulling on it won’t open the tent unless your child gets the angle just right. Second, the zipper is kind of noisy. This is actually a little bit frustrating if you want to check on her during the night, but it does mean that there is a good chance that any attempt at opening the flap will wake you up, provided you are in the same room. Recommendation: To avoid accidentally teaching your child how to open the zipper, let her fall asleep with the flap open, then close it after she is unconscious. Lisa did eventually learn how to open her tent by watching us let her out in the morning, but by the time that happened, she was reliably sleeping through the night. The few times she did try to get out, she made such a racket, struggling and babbling to herself that we couldn’t possibly sleep through it. Then she just came over to our bed to find us anyway. The other benefit of putting her to sleep with the tent flap open is that she doesn’t feel trapped inside. Jake would just lie down next to her and once she got the hint that it was time for her to fall asleep, she eventually laid her head down and drifted off. Jake would then zip it up as quietly as he could and we would let her out when she woke up in the morning. This is where the KidCo Peapod Plus really shines. The tent is incredibly light weight, only 3.6 pounds, which means you can bring it with you pretty much anywhere. When it’s folded up, the diameter is less than eighteen inches. That’s small enough to fit inside a suitcase. Once the tent is in the bag, it is nice and secure, with two straps so that you can hang it over your shoulder or the back of a stroller. The bag will look puffy, but it is mostly full of air. If you press on it it will flatten down to almost nothing. We have actually used it as a carry on bag, with toys, blankets and diapers stuffed in there with it. When our flight was delayed, we opened the thing up so Lisa could play inside instead of making us chase her around the terminal. Once the tent is opened up, it is quite spacious. Our daughter is big for her age, at 2.5 years, but she still has several inches to spare. She can roll back and forth with ease, though if she turns herself sideways, her head and feet do touch the sides. Luckily, by now she is able to adjust herself of her own accord when she needs to. Some people complain that folding it up is a challenge. We see where they are coming from, but you just have to practice it a few times before you set out on your trip. By the tenth time you’ve folded it up, you can do it in one smooth motion and slide it right into the bag. Recommendation: If you plan on using the tent primarily for sleep, avoid also using it as a playpen. Babies make sleep associations pretty easily, and if you put her down in what she thinks is a play area, she will think it’s time to play. Our little girl is finally old enough to sleep in a bed, but we’re still bringing the tent with us because over the last few months it has become one of her favorite toys. It’s a tent, a cave, a tree house – whatever she wants it to be on a given day. But now that she’s slept in her own bed, we don’t know if she’ll ever go back. Luckily, we no longer worry that she’s going to run off and do something crazy while we are unconscious. To be honest, comfort was the biggest mystery of all before we tried the Peapod out. If it didn’t allow Lisa to sleep through the night, it wouldn’t matter how easy it was to carry around. The pad on the bottom looks thin, but we tried to keep in mind that kids do slumber parties on the floor all the time without difficulty. Their tiny bodies just don’t press as hard against the floor as adult bodies do. Also, modern crib mattresses are designed to be firm for safety reasons, and babies and toddlers have no difficulty sleeping on those. On her first night in the tent, Lisa woke up crying. Babies wake up every night, but usually fall back to sleep without making a peep. I imagine that she was confused to find herself in a place she wasn’t used to, and alarmed to be closed in. We let her out of the tent to show her that she wasn’t trapped or in any danger. She was reluctant to go back in at first, but eventually we got her to fall back to sleep. After a few nights like this, she was back to sleeping through the night, having accepted the tent as her new bed. So at least we knew that the pad was soft enough for her to sleep on. Our other concern was warmth. We dressed her warmly because we weren’t going to put any blankets inside. Even though we lived in Florida at the time, the temperature close to the floor was still much cooler than a few feet higher at bed level. We also tried a few techniques to add extra insulation between the tent and the floor. Our first thought was to lay down a foam mattress underneath the whole tent. Unfortunately the foam was too thick and soft, and as a result it allowed half of the tent to sink down, destabilizing the whole tent and making it obvious that it was now at risk of tipping over. We decided that a blanket or a couple towels underneath would suffice, and we felt a lot better knowing that there was an extra layer between her and the towel. If the floor had been carpeted, we wouldn’t even have thought about it. 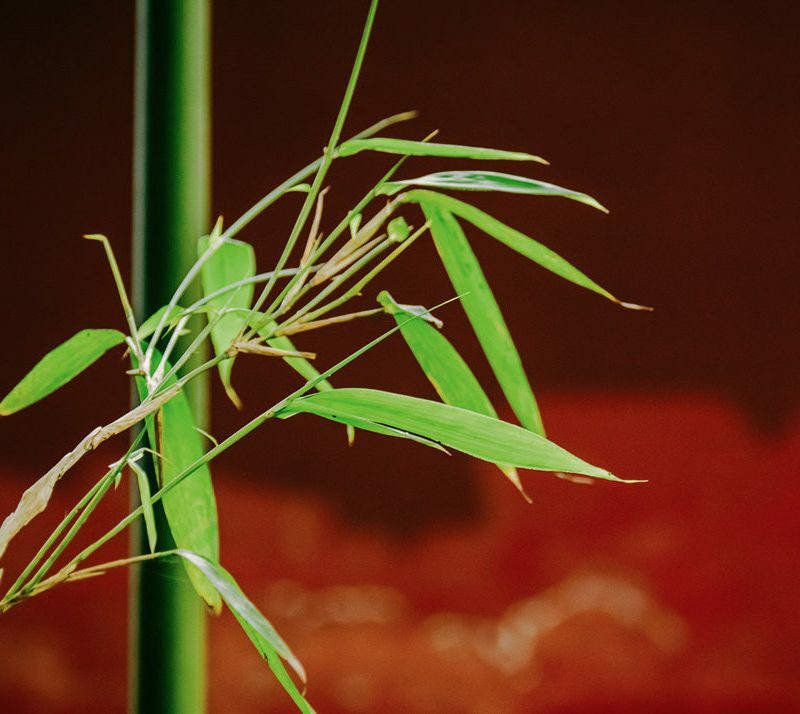 Once we were traveling, warmth did occasionally become an issue, but only under extreme circumstances. We went to Dubrovnik, Croatia in January, and our apartment was in the top of an uninsulated stone tower. It was a romantic and beautiful setting with windows that looked out over a breathtaking cathedral, but it got so cold you could see your breath inside. We dressed her up in several layers of pajamas with warm fuzzy socks, and most nights she still slept ok in her Peapod travel tent (we couldn’t believe it!). But on the very coldest nights we caved in to our own concerns and let her sleep in the big bed with us. We also didn’t use the Peapod tent while we were camping in Scotland because there wasn’t room for another tent within our main tent, and there wasn’t room within the Peapod for her zero degree sleeping bag. By the way, if you think it’s hard to convince a baby to sleep in a travel tent, try convincing a two year old to stay in a sleeping bag! The Peapod gave us peace of mind while we were traveling. We never had to worry about where Lisa was going to sleep. If our host could provide us with a crib, great, we tucked the Peapod in a suitcase until we moved on. If not, we opened it up every night and Lisa slept fine. She was familiar with the Peapod, and it was one of the few constants that made an ever changing environment feel more like home. It was comfortable enough for her to sleep through the night, and carrying it with us (checked in a suitcase or as a carryon bag) was almost too easy. 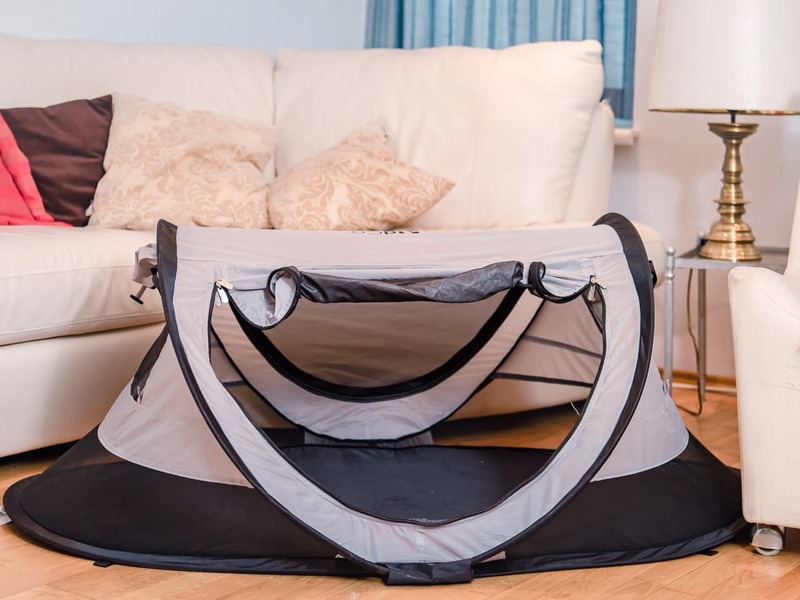 It’s more affordable than a folding crib, and it’s incredibly practical. It’s one of the best purchases we have made, and we recommend it to anyone traveling long term with a baby. Lisa is now at the stage where she is sleeping on beds or futons whenever she can, so finally, the Peapod has turned into another toy. Because there is extra room in the bag that holds it, we just pack it wit things she enjoys or needs, and have it on standby while we are moving from city to city. 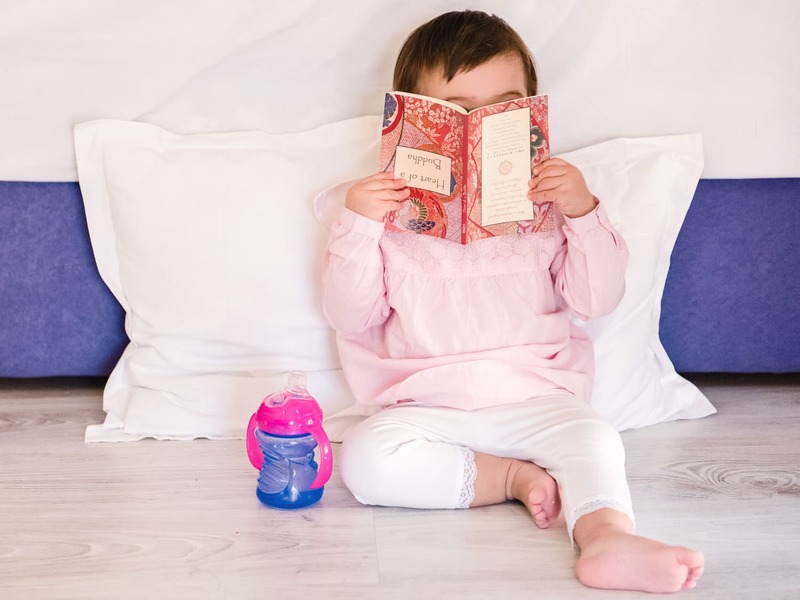 Once we settle into a new apartment, we set it up in her playroom, and she climbs in and out, playing make believe, or even lying down inside to signal that she is ready for her nap. 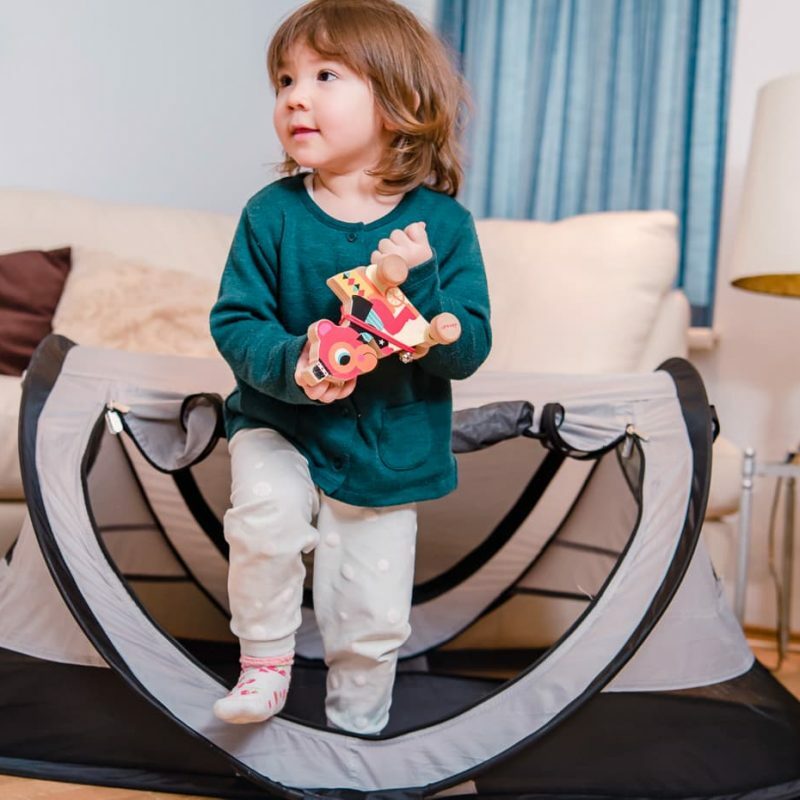 We thought we were going to leave it behind once she started sleeping in beds, but it turns out that the Kidco Peapod Plus is just another part of our adventure now. Update: We are now taking slow travel to the next level, and spending a year in Dali, China. Lisa has her own room for the time being, and is now sleeping in her own bed. We gave up our beloved travel tent when we settled down in China. 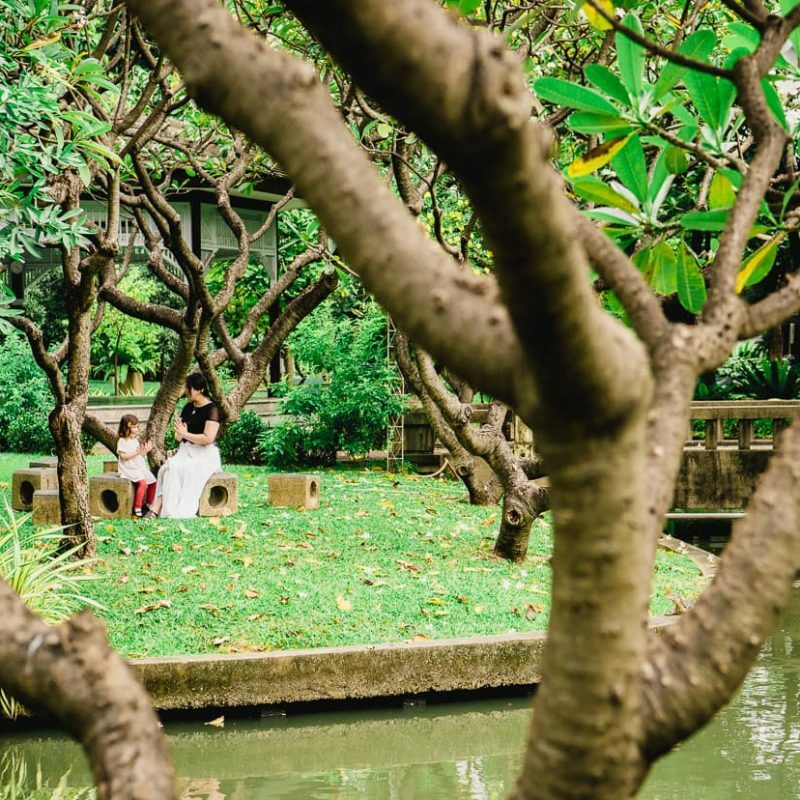 If you found this review helpful, you can read about other products and services that have helped us with our family travel and with our photography. Pay a visit to our resources page for helpful links and reviews.